McLACHLAN, JAMES BRYSON, coalminer, union leader, labour radical, farmer, and journalist; b. 9 Feb. 1869 in Ecclefechan, Scotland, son of Esther Bryson and James McLachlan; m. 29 Dec. 1893 Catherine Ferguson Greenshields in Wishaw, Scotland, and they had seven daughters and two sons; d. 3 Nov. 1937 in Glace Bay, N.S. In the coalmines the young McLachlan received an additional education: he gained an intimate knowledge of underground conditions that would be central to his influence among the coalminers. As he graduated from small tasks to more skilled work, McLachlan absorbed the culture of individual self-reliance associated with the Scottish miners. By the 1880s, however, the ideal of the “independent collier” was confronted by the low wages, hazardous conditions, and new work discipline that marked an expanding industry controlled by large operators. Increasingly, the coalminers looked to collectivist solutions, advocating strong unions and legislative reforms that included the eight-hour day and old-age pensions. McLachlan supported local leaders such as James Keir Hardie, later a founder of Britain’s Independent Labour Party, who argued for class solidarity in both industrial and political action. Their personal connection would be made evident when Hardie stayed with the McLachlans in Sydney Mines, N.S., on a trip to Canada in 1908. At 24 years of age McLachlan married Kate Greenshields, the daughter of a Wishaw stonemason; they had met in church and were married by the Baptist minister. The couple’s first child, a daughter, was born at Blantyre, and each of the next three children was born at a different location in the Scottish coalfields. The McLachlans’ decision to emigrate was driven by frustrating local conditions and encouraged by opportunities in Britain’s overseas dominions. In 1902 McLachlan took employment with the Nova Scotia Steel and Coal Company [see Graham Fraser*] and started work at the large Princess colliery in Sydney Mines. A relatively experienced miner among a growing population of younger workers, McLachlan emerged as a local leader in the Provincial Workmen’s Association, the union that had been established in 1879 as the Provincial Miners’ Association by Robert Drummond*. Ironically, Drummond Lodge, the Sydney Mines branch named for the PWA’s founder, became a centre of rebellion against the organization’s cautious policies in pursuing better wages and stronger legislation. McLachlan and other reformers charged that its founder was out of touch with current conditions among the coalminers and believed that the PWA would benefit from affiliation to the major North American union in the industry, the United Mine Workers of America. In the campaign for union renewal, McLachlan articulated a critique rooted in the collier culture and ethical socialism of Lanarkshire but also informed by his more recent reading in political economy. In an essay published in January 1908 in the Halifax Herald, on the 149th anniversary of Robert Burns’s birth, McLachlan wrote that “had Burns been alive today he would have been the poet laureate of the international socialist movement.” He went on to assert his own socialist views: “The greatest political question of this century is how to distribute the enormous wealth that the ingenuity of the last century enables the world now to produce.” A Cape Breton local of the Socialist Party of Canada had been formed as early as 1907, and McLachlan was active in founding the Sydney Mines branch in 1909. Although the reformers claimed victory in a referendum on affiliation to the UMWA held on 24 June 1908, the PWA Grand Council did not accept the result, a refusal that precipitated a long period of division among the coalminers. In Sydney Mines, McLachlan reorganized the rebel coalminers into UMWA Local 945, and in March 1909 he was elected secretary-treasurer of the newly created District 26 of the UMWA, whose jurisdiction included all of Nova Scotia. McLachlan claimed that the new union had the support of a majority of the workers, but the coal operators remained hostile. Discrimination against UMWA members led the union to strike for recognition on 6 July 1909. PWA loyalists remained at work, and law and order was maintained by company police and dominion soldiers; UMWA members were arrested on the picket lines and evicted from company houses. With District 26 counting more than 4,500 members by the end of the year, McLachlan was administering large amounts of relief money provided by the international union. When the coal operators planned to import 1,000 miners from Belgium, the Nova Scotia miners benefited from international solidarity. Samuel Gompers of the American Federation of Labor, acting at McLachlan’s request, asked unions in Belgium to advise their members not to come to Nova Scotia. Nonetheless, the strike ended in defeat, in April 1910 in Cape Breton [see James Henry Plummer] and in May 1911 in Springhill on the Nova Scotia mainland. Union meetings thereafter were closely watched by the police; at a meeting on 23 April 1911 McLachlan had to take cover behind a desk when an undercover private detective who had infiltrated the local to sabotage union activity shot one man dead and fatally wounded another. On 15 Feb. 1915 the UMWA decided to revoke the charters of District 26 and Vancouver Island’s District 28. The end of the union campaign spelled unemployment for McLachlan, who was permanently blacklisted by the mine operators, as coalminer Albert Goodwin* had been. Around 1913 he and his family had relocated to a small hilltop farm at Steeles Hill, on the back boundary of the town of Glace Bay, where they kept chickens and cows, and grew potatoes and cabbages. His children would later remember McLachlan as “a real Scots father” who read the Bible aloud and required them to memorize verses. McLachlan subscribed to correspondence courses, practised public speaking, and read books published by the radical press Charles H. Kerr and Company. Titles such as Gustavus Myers’s History of Canadian wealth (Chicago, 1914), volume two of Cyrenus Osborne Ward’s The ancient lowly … (Chicago, 1900), and Friedrich Engels’s The origin of the family, private property and the state (Chicago, 1910) figured in his collection. In 1916 he stood as a Socialist candidate for the provincial House of Assembly, the ballot listing his occupation as “farmer.” He received 1,038 votes but finished in last place. When labour unrest in 1917 threatened the coal production that was crucial to Canada’s war effort, the dominion government appointed a royal commission to investigate the problem; it engineered a merger of the PWA and the United Mine Workers of Nova Scotia (formed in 1916), resulting in an independent union acceptable to the coal operators, the Amalgamated Mine Workers of Nova Scotia. When the coalminers chose officers for the new union, the principal positions were filled by former UMWA men, including McLachlan as secretary-treasurer. In office he again proved an able administrator, making agreements and lobbying governments while making no secret of his contempt for the speculators and “coupon-clippers” who enriched themselves at the expense of the miners. Following the explosion in No.12 colliery in New Waterford on 25 July 1917 that killed 65 men and boys, McLachlan pushed hard for compensation for the families, prosecution of company officials, and changes to the provincial Coal Mines Regulation Act, such as the election of mine inspectors and the establishment of an eight-hour day. In the “Reconstruction report” presented at the second annual convention of the AMWNS in 1918, the union called for nationalization of the industry and other reforms, echoing the demands of coalminers and the Labour Party in Britain. Meanwhile, in support of the union’s campaign for pay increases, McLachlan organized a contest in which the women of the coalmining towns were invited to provide details of their household expenses; published in the Canadian Labor Leader, a Sydney newspaper, the budgets underlined the extreme thrift that would be needed for families to survive on the proposed basic underground wage of $3.50 a day. McLachlan noted that the miner’s wife must be “the greatest financier in the world” – and the message implied the responsibility of male breadwinners to secure a better family wage. The AMWNS would prove to be a transitional organization, for in early 1919 McLachlan persuaded the UMWA to issue a new charter to District 26, which was officially reorganized on 1 May 1919. With the encouragement of Charles Alexander Magrath*, dominion fuel controller, and federal minister of labour Gideon Decker Robertson, the coal companies agreed to recognize the union and accept its eight-hour day, and the miners overwhelmingly endorsed reunification with the UMWA. While other parts of Canada saw widespread labour unrest in 1919, there was relative stability in the Nova Scotia coalfields. Nonetheless, McLachlan remained busy, observing the course of the Winnipeg General Strike [see Mike Sokolowiski*] with concern, protesting the Immigration Act amendments brought in to allow the summary deportation of all British- and foreign-born immigrants accused of sedition, and calling for a general strike in September to support the renewal of bail for the arrested strike leaders. He sold Workers’ Liberty Bonds to raise money for their defence, and on 1 May 1920 he organized a one-day “holiday” to protest the convictions. Meanwhile, in the spring of 1919 McLachlan had described his own philosophy of labour radicalism in a remarkable entry for a Halifax Herald essay contest on the subject of “The ideal preacher for the new era in life.” Here McLachlan articulated an “economic gospel” in which the “ideal preacher” was obliged to aid the exploited and redeem the disinherited: “From Moses and Jesus and Marx and Carlyle, one outstanding theme runs thru all their teachings, however much the language employed may have differed. The sins which all of them denounced most fiercely were economic sins, and the mission of all of them in life was to deliver the oppressed.” For McLachlan, in modern times the “ideal preacher” was the labour leader. The success of the miners’ union was accompanied by a renewal of labour politics. McLachlan became president of Cape Breton’s Independent Labour Party in November 1917, but stepped aside in favour of Arthur Remington Richardson in 1918, though he remained honorary president. At the time of the 1920 provincial election, McLachlan’s popularity was undeniable; had he run in this election he certainly would have been one of the four successful Labour candidates who swept Cape Breton County. Meanwhile, the voice of the labour movement was amplified by the establishment of the weekly Maritime Labor Herald under the veteran socialist editor William Ulric Cotton*; McLachlan was one of the newspaper’s directors and a frequent contributor. In 1921 he was nominated as a Farmer–Labour candidate for the two-member Cape Breton South and Richmond constituency in the December federal election. Denounced and mocked by the Conservative Sydney Post, the “Agrarian-Socialist” ticket fared well nonetheless, with McLachlan winning absolute majorities in the mining districts and leading the polls in Sydney. He received 8,914 votes, a larger total than those won by successful Labour candidates Woodsworth in Winnipeg and William Irvine* in Calgary, but not enough to claim victory in the far-flung constituency. In the late 1910s and early 1920s McLachlan won successive re-election to union office and negotiated a series of contracts with the coal operators, most notably the 1920 agreement arranged under the supervision of a conciliation board chaired by Clarence Dunlop Mackinnon. The deals provided for substantial increases in wages, especially for workers in the lower-paid classifications. McLachlan faced criticism for concessions to the operators, such as clauses recognizing management rights and limiting the authority of miners’ pit committees, but he subdued opposition on the strength of his reputation and by reminding the workers of the need to maintain union recognition. The union’s most formidable challenge came from the British Empire Steel Corporation (Besco), a Montreal-based holding company organized by financier Roy Mitchell Wolvin* that took control of almost all the province’s coal and steel companies in 1921. Besco’s unrealistic plans for watered stock and enhanced earnings were frustrated by changing economic conditions and the coalminers’ forceful resistance. 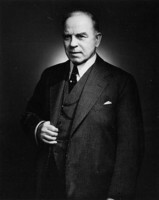 When the corporation imposed wage cuts in early 1922, McLachlan challenged the move in the courts, on the grounds that it violated section 57 of the Industrial Disputes Investigation Act [see William Lyon Mackenzie King*]. Mr Justice Benjamin Russell of the Supreme Court of Nova Scotia upheld McLachlan’s interpretation and ordered an injunction against the new pay scale, but a panel of judges that included Humphrey Pickard Wolfgang Mellish quickly overturned this ruling. McLachlan then led the miners in a slowdown strike to reduce output. The method was attacked by federal minister of labour James Murdock* as “un-British, un-Canadian and cowardly”; McLachlan justified restriction of output both as a traditional tactic from his days in the Lanarkshire mines and as an action in defence of the miners’ standard of living. The conflict continued, and in August the miners launched a “100 per cent strike,” withdrawing even the maintenance workers whose job it was to keep the mines clear of water and other hazards. The mines remained closed for several weeks, and some 1,200 troops poured into the strike zone. Although the settlement finally reached later in the month did not fully restore the 1921 wages, McLachlan had demonstrated his tactical skills as a leader. In the wake of the strike he anticipated an acceleration of the local class struggle. He promoted the creation of a labour college, modelled on Ruskin College in Oxford, England; he hoped a leading radical intellectual, such as the American Scott Nearing, would take charge. In 1922 McLachlan had joined the Communist Party of Canada, formed in 1921 as the Canadian affiliate of the Third International. 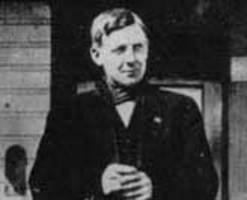 Party organizer Timothy Buck* attended the UMWA convention in June 1922, where the coalminers adopted resolutions that featured a fusion of Chartist and communist rhetoric and called for “the complete overthrow of the capitalist system and capitalist state, peaceable if we may, forceable if we must.” In October McLachlan appealed to unions countrywide to join “one united front of all workers” in support of a radical program. Alarm about the influence of “McLachlanism” among coalminers led to several reversals in 1923. At international headquarters in Indianapolis, Ind., UMWA president John Llewellyn Lewis was pursuing a policy of limiting the autonomy of all districts. When Lewis objected to the apparent red turn in District 26, McLachlan set aside plans to seek affiliation to the Moscow-based Red International of Labour Unions. McLachlan devoted his attention to another challenge in 1923, when he backed the organizing efforts of steelworkers in Sydney, who had failed in earlier attempts to gain union recognition and were now taking on Besco. A first strike in February ended in defeat, but the workers shut down the plant on 28 June 1923 when the company’s directors refused their most recent request. On Sunday 1 July a squad of mounted provincial police attacked strikers at the plant gates and pedestrians in the surrounding streets. McLachlan issued a union circular detailing the actions of the police and calling on the coalminers to strike in support of the steelworkers. “No miner or mine worker,” he wrote, “can remain at work while this Government turns Sydney into a jungle.” Provincial attorney general Walter Joseph Aloysius O’Hearn, who had previously ordered raids on McLachlan’s home in search of “seditious” literature, had been waiting for just such an occasion: warrants were issued for the arrest of McLachlan and district president Daniel Livingstone on charges of “unlawfully publishing false tales.” Transported to Halifax, they were released on bail in time to meet on 17 July with Governor General Lord Byng, whose railway car was stopped at Pictou for the celebrations marking the 150th anniversary of the landing of the Hector. According to the union men present, including Glace Bay mayor Daniel William Morrison, the governor general agreed to support the withdrawal of the armed forces from the strike zone if the union leaders guaranteed that the coalminers would return to work. Prime Minister W. L. M. King would later accuse Byng of “unconstitutional interference” for his promise, but it seems he had himself encouraged Minister of National Defence Edward Mortimer Macdonald, who was with the governor general in Pictou, to seek a settlement. For McLachlan the so-called Byng agreement was “a victory for the workers” – but it was short lived. Later that day the international union issued a lengthy order in which Lewis revoked the charter of District 26, deposed all of its officers, denounced the sympathy strike as a breach of the union’s existing contract, and condemned the district’s whole policy as a “mad adventure” animated by the “evil genius” McLachlan. In the following years McLachlan remained an important presence among the coalminers and across the country. Soon after his return to Glace Bay, he took charge of the Maritime Labor Herald, which he edited until falling circulation forced it to close in 1926, suspicious fires having shut it down for long periods in 1924 and 1925. McLachlan also edited the Nova Scotia Miner, which was published in Glace Bay in 1929–30 and 1931–36. In terms of union strategy, in 1924 McLachlan advised the coalminers against breaking away from the UMWA to join the radical One Big Union, although the threat of their doing so helped lead to the reinstatement of District 26’s charter later that year. McLachlan was prevented from holding office in the restored district, yet his enduring influence was apparent in the election of new officers who described themselves as his followers. But during the protracted 1925 strike against another round of wage reductions, McLachlan was dismayed by the slow drift towards defeat that the new leadership appeared to accept – “no picketing, nothing but begging, and being respectable” – and he feared that Besco was determined to drive the union out of the coal industry. The situation reached a breaking point with the shooting of miner William Davis* by company police in a confrontation at the Waterford Lake power plant on 11 June. 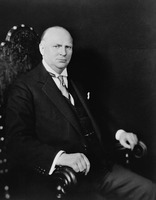 The crisis in the coalfields helped precipitate the defeat of Ernest Howard Armstrong*’s Liberal government in the provincial election of 25 June 1925. The new Conservative premier, Edgar Nelson Rhodes*, arranged a temporary settlement of the wage dispute while a royal commission investigated Besco and the coal industry. Appearing before commissioners Sir Andrew Rae Duncan, Father Hugh Peter MacPherson, and businessman Hume Blake Cronyn, McLachlan charged that the underlying cause of unrest was Besco’s reckless attempt to extort profits and destroy unions; he made no secret of his communist views and, in response to Wolvin’s needling, made declarations in favour of “nationalization of mines with workers’ control.” Released in January 1926, the report of the Duncan commission on coal did not consider public ownership at all and decried the place of radical politics within the union, citing the “Communistic theories” of its leaders as part of the problem; at the same time, it called for the corporation’s acceptance of the union and acknowledged the real economic distress of the workers. McLachlan’s agenda had been curtailed in favour of an accommodation with more moderate leaders, but a vindication for the radicals came with the beginning of Besco’s collapse in 1926 and its eventual replacement by a reorganized Dominion Steel and Coal Corporation. McLachlan never fully recovered his health after his incarceration, and his weakened condition was apparent at the time of the federal election in 1925, when police reports noted that he was not in his usual fighting trim. 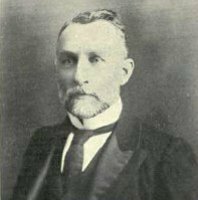 He attracted 3,617 votes in a new riding, Cape Breton South, centred on the southside coalfield; yet he did not sweep the district as he had in 1921, and the seat went to Conservative Finlay MacDonald, a proponent of the Maritime rights movement. When another election was called for September 1926, J. S. Woodsworth, now one of King’s Labour supporters in the House of Commons, insisted that the former prime minister forgo running a Liberal candidate in the industrial riding on the grounds that it deserved a labour mp. King agreed, and McLachlan had his best opportunity to win election to parliament; however, he failed to enter the contest, and the Conservative was returned. On two further occasions McLachlan ran for provincial office, polling 2,589 votes in 1928 and 1,737 votes in 1933. He stood again for Cape Breton South in the federal election of 1935, conducting a spirited campaign as a Communist Party candidate. The prospect of a strong “anti-God” showing in Cape Breton provoked attacks in the local press and from Roman Catholic churches. In the end he received 5,365 votes, a significant 19 per cent of the total; it was his strongest result since 1921, signifying not only personal recognition for McLachlan but also the voters’ turn to the left in the course of the Great Depression. 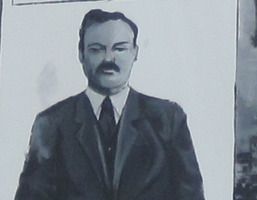 The potential for a labour victory in Cape Breton South would be realized after McLachlan’s death with the election of coalminer Clarence Gillis of the Co-operative Commonwealth Federation in 1940. Throughout the 1930s McLachlan remained widely known, and was described in the Communist press as the “Grand Old Man of the Revolutionary Labor Movement of Canada.” In 1931 he visited the Soviet Union and came back with favourable observations on the place of coalminers in the new society and optimistic words about the progress of socialism. 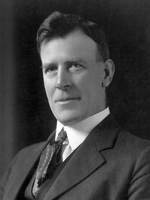 The following year McLachlan presided at the Workers’ Economic Conference in Ottawa (held in August to coincide with the Imperial Economic Conference), and was one of the delegates chosen to confront Prime Minister Richard Bedford Bennett* in his office with demands for cash relief and unemployment insurance. In 1933 McLachlan was named national president of the Workers’ Unity League, a largely honorary position in the Communist-led trade-union federation that was organizing radical industrial unions during the early years of the depression. He also lent support to the Canadian Labour Defence League and the Canadian League against War and Fascism. McLachlan had come close to leaving the Communist Party in 1930 over its attempts to oppose the UMWA with a hastily planned breakaway organization, the Mine Workers’ Industrial Union of Nova Scotia; however, two years later he supported the new Amalgamated Mine Workers of Nova Scotia. This too was an independent red union, but one that was able to rally the support of about half the province’s 12,000 coalminers, including that of his own two sons. Yet when the province instituted annual card counts, the AMWNS proved unable to dislodge the UMWA from its entrenched position. McLachlan’s last public battle involved the implementation of the renovated united-front policy sanctioned by the Third International in the summer of 1935. Already in February of that year he and Thomas Alexander McEwen, on behalf of the WUL, had issued a call for “one all-inclusive labour union federation” in Canada. When he addressed the WUL meetings in November, McLachlan endorsed a vision of “trade union unity” that was consistent with his distrust of top-down labour bureaucracies. In the following months he watched in alarm as a policy of “unity at all costs” seemed to sweep his concerns aside. His dilemma was most acute in Nova Scotia, where the AMWNS and UMWA members were engaged in negotiations for reunification; however, in March 1936 the UMWA demanded the return of all miners to the fold under conditions of surrender which AMWNS leaders such as Clarence Gillis considered a sign of “bad faith.” McLachlan’s irritation at this turn of events was exacerbated by the appearance of his old nemesis Lewis as spokesman for the cause of industrial unionism in North America. Shortly after this debacle McLachlan resigned from the Communist Party, and later he set forth his reasons in a personal letter to Buck. He accused the party of “despair and defeatism” in pursuing the cause of labour unity, and he ended in protest: “I refuse to follow the party in Canada in its sad march to the right.” McLachlan’s resignation from the party was not only a repudiation of unprincipled compromise but also a result of his personal enmity towards Lewis, who had been responsible for deposing McLachlan from office in 1923. James Bryson McLachlan is the author of the short memoir “Floors that have talked to me,” which was published in a children’s magazine, Always Ready [Toronto], 1, no.2 (March 1934): 19–20; the article has been reprinted with an introduction by David Frank in Cape Breton’s Magazine (Wreck Cove, N.S. ), no.74 (June 1999): 1, 75. An essay McLachlan wrote in 1919 was published in the Halifax Citizen, 2 Feb. 1923, and reprinted with an introduction by David Frank as “The economic gospel of J. B. McLachlan,” New Maritimes (Enfield, N.S. ), 2 (1983–84), no.4: 3. His letter of resignation from the Communist Party of Canada appears in David Frank and John Manley, “The sad march to the right: J. B. McLachlan’s resignation from the Communist Party of Canada, 1936,” Labour (St John’s), 30 (1992): 115–34. McLachlan was also the editor of two newspapers, the Maritime Labor Herald (Glace Bay, N.S.) and the Nova Scotia Miner (Glace Bay). There is no major collection of primary sources relating to McLachlan, but much research is reported in the author’s J. B. McLachlan: a biography (Toronto, 1999). Interviews, pamphlets, scrapbooks, and other items were consulted in the Beaton Instit. at Cape Breton Univ. (Sydney, N.S. ), including several important documents in the papers of Stephen Dolhanty (SB no.63), John L. MacKinnon (MG 19.11), and James Tompkins (MG 10.2). The Stuart McCawley scrapbook at the Cape Breton Miners’ Museum in Glace Bay was also helpful. Sources consulted at the NSA include: the E. H. Armstrong fonds (MG 2, vols.1–62A and MG 3, vols.350–51); the N.S. Dept. of Mines fonds (104), United Mine Workers of America, Dist. 26, papers (mfm. 10020–33) and Mines and mining in N.S. (mfm. 10002–16 and 10034–37); the Edgar N. Rhodes fonds (MG 2, vols. 404–21C, 562–88, 1099–1205, and 1216–19); and the Royal commission on coal mines in prov., 1926 (also known as the first Duncan commission) (RG 44, vol.1, nos.5 and 95), Minutes of evidence (mfm. 3897–99). United Mine Workers Arch. records, including correspondence between districts and the president of the UMWA, box 111, folders 2–9 (corr. with J. B. McLachlan), were viewed at the UMWA offices and warehouse in Washington and Alexandria, Va (this collection is now part of the Hist. Coll. and Labour Arch. housed in the Special Coll. Library at the Pa State Univ. in University Park). The extensive file on McLachlan created by the Royal Canadian Mounted Police was released to the author under the Access to Information Act and is now available in the Canadian Security Intelligence Service fonds (R929-0-4) at LAC. Documents pertaining to McLachlan’s trial and subsequent appeals were consulted at LAC in the Department of Justice fonds (R188-0-3). At the same repository the Department of Labour fonds (R224-0-4) was also valuable, as were those of the Communist Party of Can. (R3137-0-5) and J. S. Woodsworth (R5904-0-1). Additional items were found in the fonds for R. B. Bennett (R11336-0-7), Sir Robert Borden (R6113-0-X), William Lyon Mackenzie King (R10383-0-6), Sir Wilfrid Laurier (R10811-0-X), Charles Alexander Magrath (R4901-0-X), and Arthur Meighen (MG 26, I), and in the microfilmed records of the Communist International fonds (MG 10, K3). The constitution, by-laws, and minutes of proceedings of the Grand Council of the Provincial Workmen’s Assoc. of N.S. and N.B., 1879–1917, (mfm.) and the AMWNS records were consulted at the Labour Can. Library in Ottawa, which has been superseded by the Service Can. Library. Other collections used include the Alexander Albert MacLeod fonds (F 126) and the Records relating to the Communist Party of Can. (F 2157-4) at the AO, the H. L. Stewart fonds (MS-2-45) and the United Mine Workers of America, Local 4514 fonds (MS-9-32) at the DUA, and a minute-book of the AMWNS local in Springhill, N.S., 1917–18, in the Father Charles Brewer Celtic Coll. at St Francis Xavier Univ. Library (Antigonish, N.S.). Information on family history was drawn from census and parish records, directories, and birth, marriage, and death registrations at the NRS, the National Library of Scotland, and the NSA. The author benefited from interviews with family members, including McLachlan’s daughters Mary McLachlan Sanger and the late Eva Pemberton, Jean Robinson, and Elsie Warner, and his sons, the late James B. McLachlan Jr and Tom McLachlan; several of them provided access to documents in their possession. Interviews and conversations with Murdoch Clarke, Eugene Alfred Forsey*, Maurice MacDonald, Archie McIntyre, Joseph Nearing (who shared a scrapbook), C. B. Wade, and Annie Whitfield were also helpful. Short biographical accounts of McLachlan by his contemporaries include D. N. Brodie, “J. B. McLachlan,” Steelworker (Sydney), 7 Nov. 1937: 15–16, and J. S. Woodsworth, “Jim McLachlan, labor covenanter,” Sydney Post, 1 Oct. 1923: 10. An unpublished appreciation by his grandson, J. B. McLachlan, was shared by Terry McVarish, Glace Bay. There are brief treatments of McLachlan in the following: Tim Buck, Yours in the struggle: reminiscences of Tim Buck, ed. William Beeching and Phyllis Clarke (Toronto, 1977), which offers less detail than the reminiscences in the transcripts of recorded interviews held at LAC (MG 32, G3); George MacEachern, George MacEachern: an autobiography; the story of a Cape Breton labour radical, ed. and intro. David Frank and Don MacGillivray (Sydney, 1987); George Pearson, “Communism in Cape Breton: a general review of the situation and an interview with Communist McLachlan,” Saturday Night, 5 Dec. 1925: 3, 5; and N. R. Raine, “Toilers under the sea: Cape Breton folks,” Maclean’s, 15 Jan. 1925: 20, 38–40. For an account in verse see, among others, “The case of Jim McLachlan,” originally published in 1924, in Dawn Fraser, Echoes from labor’s wars, intro. David Frank and Don MacGillivray (expanded ed., Wreck Cove, 1992), 20–30. On McLachlan’s reputation, see J. E. deRoche, “Making history: a sociological study,” in Report of the fourth annual meeting of the Atlantic Oral History Association …, comp. Shannon Ryan (St John’s, 1982), 163–73; Michael Earle, “The legacy: manipulating the myth of McLachlan,” New Maritimes, 6 (1987–88), nos.4–5: 10–13; Peter Flosznick, “Jim McLachlan song” and Charlie MacKinnon, “The ballad of JB McLachlan,” both in J. C. O’Donnell, “And now the fields are green”: a collection of coal mining songs in Canada (Sydney, 1992), 108–9 and 110–11; and “The image: J. B. and the ‘red years’ through the eyes of the Halifax Herald,” New Maritimes, 6, nos.4–5: 8–9. Newspapers and journals that provided information include the Canadian Forum (Toronto), Canadian Labor Defender (Toronto), Canadian Labor Leader (Sydney), the Canadian Mining Journal (Gardenvale, Que. ), the Casket (Antigonish), Cotton’s Weekly (Cowansville, Que. ), Eastern Labor News (Moncton, N.B. ), Glace Bay Gazette, the Halifax Herald, the International Socialist Rev. (Chicago), Labour Leader (London), One Big Union Bull. (Winnipeg), the Sydney Post, the Sydney Post-Record, the United Mine Workers Journal (Indianapolis, Ind. ), the Worker (Toronto), Workers’ Unity (Toronto), and Workers Weekly (Stellarton, N.S.). Useful material was also found in Can., House of Commons, Debates; Parl., Sessional papers; Labour Gazette (Ottawa); and other government reports and publications. Early treatments of the context of McLachlan’s life and times include E. A. Forsey, Economic and social aspects of the Nova Scotia coal industry (Montreal, 1926) and C. B. Wade, “History of District 26, United Mine Workers of America, 1919–1941” (typescript, 1950; mfm. 3582 at NSA). Among popular accounts are Paul MacEwan, Miners and steelworkers: labour in Cape Breton (Toronto, 1976) and John Mellor, The company store: James Bryson McLachlan and the Cape Breton coal miners, 1900–1925 (Toronto, 1983). Relevant scholarly articles and book chapters include: Barry Cahill, “Howe (1835), Dixon (1920) and McLachlan (1923): comparative perspectives on the legal history of sedition,” Univ. of New Brunswick Law Journal (Fredericton), 45 (1996): 281–307; Michael Earle, “The coalminers and their ‘red’ union: the Amalgamated Mine Workers of Nova Scotia, 1932–1936,” Labour, 22 (1988): 99–137; David Frank, “The Cape Breton coal industry and the rise and fall of the British Empire Steel Corporation,” Acadiensis, 7 (1977–78), no.1: 3–34; “Contested terrain: workers’ control in the Cape Breton coal mines in the 1920s,” in On the job: confronting the labour process in Canada, ed. Craig Heron and Robert Storey (Kingston, Ont., and Montreal, 1986), 102–23; “Industrial democracy and industrial legality: the UMWA in Nova Scotia, 1908–1927,” in The United Mine Workers of America: a model of industrial solidarity? ed. J. H. M. Laslett (University Park, 1996), 438–55; “The miner’s financier: women in the Cape Breton coal towns, 1917,” Atlantis (Halifax), 8 (1982–83), no.2: 137–43; “Tradition and culture in the Cape Breton mining community in the early twentieth century,” in Cape Breton at 200: historical essays in honour of the island’s bicentennial, 1785–1985, ed. Kenneth Donovan (Sydney, 1985), 203–18; “The trial of J. B. McLachlan,” CHA, Hist. papers, 1983: 208–25; “Working-class politics: the election of J. B. McLachlan, 1916–1935,” in The Island: new perspectives on Cape Breton history, 1713–1990, ed. Kenneth Donovan (Fredericton and Sydney, 1990), 187–219; David Frank and Nolan Reilly, “The emergence of the socialist movement in the Maritimes, 1899–1916,” Labour (Halifax), 4 (1979): 85–113; Don MacGillivray, “Military aid to the civil power: the Cape Breton experience in the 1920’s,” Acadiensis, 3 (1973–74), no.2: 45–64; Robert McIntosh, “The boys in the Nova Scotian coal mines, 1873–1923,” Acadiensis, 16 (1986–87), no.2: 35–50; Ian McKay, “‘By wisdom, wile or war’: the Provincial Workmen’s Association and the struggle for working-class independence in Nova Scotia, 1879–97,” Labour (St John’s), 18 (1986): 13–62; John Manley, “Preaching the red stuff: J. B. McLachlan, communism, and the Cape Breton miners, 1922–1935,” Labour, 30 (1992): 65–114; D. [A.] Muise, “The making of an industrial community: Cape Breton coal towns, 1867–1900,” in Cape Breton historical essays, ed. Don MacGillivray and B. [D.] Tennyson (Sydney, 1980), 76–94; and Steven Penfold, “‘Have you no manhood in you?’: gender and class in the Cape Breton coal towns, 1920–1926,” Acadiensis, 23 (1993–94), no.2: 21–44. For further reading see Ian Angus, Canadian bolsheviks: the early years of the Communist Party of Canada (Montreal, 1981); The Atlantic provinces in confederation, ed. E. R. Forbes and D. A. Muise (Toronto and Fredericton, 1993); Peter Campbell, Canadian Marxists and the search for a third way (Montreal and Kingston, 1999); Cape Bretoniana: an annotated bibliography, ed. B. D. Tennyson (Toronto, 2005); Melvyn Dubofsky and Warren Van Tine, John L. Lewis: a biography (New York, 1977); M. B. Fox, United we stand: the United Mine Workers of America, 1890–1990 (Washington, 1990); Independent collier: the coal miner as archetypal proletarian reconsidered, ed. Royden Harrison (Hassocks, Eng., 1978); Kenneth McNaught, A prophet in politics: a biography of J. S. Woodsworth (Toronto, 1959); Norman Penner, Canadian communism: the Stalin years and beyond (Toronto, 1988); and Fred Reid, Keir Hardie: the making of a socialist (London, 1978). David Frank, “McLACHLAN, JAMES BRYSON,” in Dictionary of Canadian Biography, vol. 16, University of Toronto/Université Laval, 2003–, accessed April 22, 2019, http://www.biographi.ca/en/bio/mclachlan_james_bryson_16E.html.